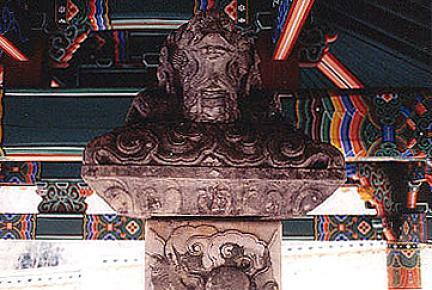 도갑사 도선·수미비는 귀부(龜趺), 비신(碑身), 이수(이首)를 구비한 석비로 도갑사의 부도전(浮屠田) 부근에 건립된 보호각 안에 보존되어 있다. 통일신라시대의 승려인 도선국사와 조선시대 수미왕사의 행적을 기록한 높이 517㎝ 규모의 석비이다. 석비가 자리한 탑구(塔區)는 수매의 판석으로 조성했는데, 전면의 구도는 방형이지만, 뒷면은 귀부의 형상과 같이 ‘ㅅ’자형으로 조성해 전체적으로는 6각형의 형태를 보이고 있다. 귀부의 머리는 오른쪽으로 약간 튼 형태인데 입에는 상·하 8개의 이빨로 여의주를 꽉 물고 있는 형상이다. 코는 큼직하며, 반구형의 양 눈은 부리부리하게 표현하였다. 등에는 전형적인 귀갑문 대신 평행 사선문(斜線紋)으로 정연하게 음각하였다. 4발 중 앞발은 5조, 뒷발은 3조의 발가락이 표현되었으며, 꼬리는 살짝 돌려 왼쪽 발의 허벅다리에 닿았다. 상면에는 비좌(碑座)로부터 중단에 이르기까지 넓게 방형의 얕은 받침이 표현되었다. 각 면 중앙의 내곡된 상면에는 화문(花紋)이 조식되어 있다. 비신은 귀부와 이수와는 달리 대리석으로 조성했다. 상면에는 전서로 「월출산도갑사도선국사수미대선사비명」이라 썼으며, 비제(碑題)는 횡서로 「월출산도갑사도선국사수미대선사비명병서」라 음각했다. 비문에 의하면 본래 이 곳에 있던 도선국사의 비가 훼손되어 다시 세웠음을 알 수 있다. 비문은 전면에 2개, 후면에 1개 등 모두 3개로 다른 석비와는 다른 양상을 보이고 있다. 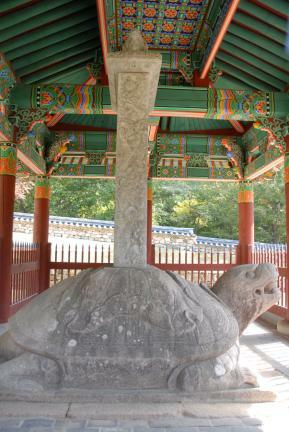 이와 더불어 비문의 찬자가 각각 이경석(李景奭), 이수인(李壽仁), 정두경(鄭斗卿)인데 반해 연대는 모두 「숭정(崇禎) 병자(丙子) 사월(四月) 일(日) 입(立)」이라 기록되어 있어 1636년(조선 인조 14)에 건립이 시작되어 1653년(조선 효종 4)에 준공되었음을 밝히고 있다. 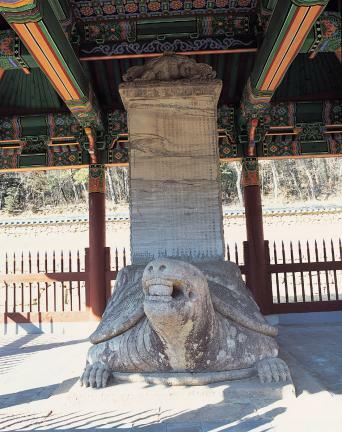 양 측면에는 운룡문(雲龍紋)이 가득 양각되었는데, 매우 사실적으로 조각되어 마치 살아 있는 쌍룡이 구름을 타고 승천하는 착각을 불러일으키기에 충분하다. 이수 역시 1석으로 조성되었는데, 하단에는 28판의 앙련(仰蓮)이 조각되었으며, 상면에는 운문 위에 2마리의 용이 각각 이수의 양끝을 물고 있는 형상을 지니고 있다. 이 석비는 1653년(조선 효종 4)에 건립된 것으로 우선 규모 면에서 다른 비석과 차별성을 지니고 있다. 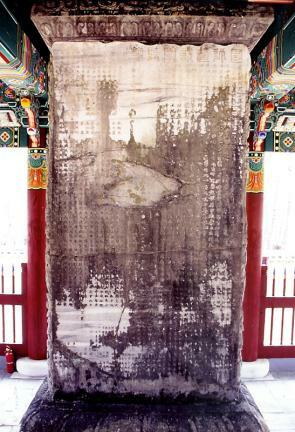 아울러 각부의 양식에서 귀부는 다른 예와는 달리 귀갑문 대신 평행 사선문으로 이를 표현하고 있다. 비신 역시 조성재료가 대리석이라는 점 외에도 양 측면에 조각된 운룡문은 매우 힘찬 기상과 율동감을 지니고 있어 당대 최고 수준의 작풍을 보이고 있다. 뿐만 아니라 석비의 건립기간이 18년임을 알려주고 있어 이 방면 기술사 연구에 좋은 자료를 제공해 주고 있다. 나아가 대부분의 석비가 1명을 대상으로 하고 있음에 비해 도선과 수미선사를 표방하고 있어 이 역시 독특한 예라 생각된다. 한편 건립연대가 동일함에도 불구하고 비문이 각각 독립된 3부분으로 구성되어 있고, 찬자는 물론 쓴 사람과 각자한 사람이 모두 다른 것은 비문의 내용을 볼 때 석비를 다시 세우기로 계획하고 3년의 모금활동과 건립기간 18년을 포함한 21년간에 걸친 건립과정에서 비롯된 것으로 생각된다. 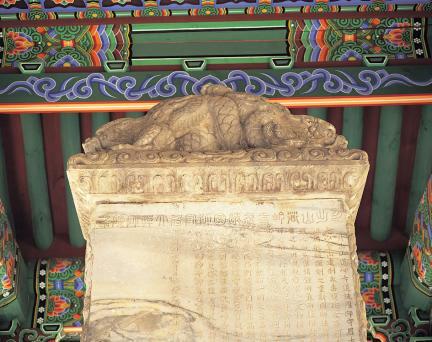 아울러 2번째 비문에는 앞선 비문의 내용이 소개되어 있으며, 석재의 채취로부터 이동과정이 기록되어 있으며, 3번째 비문에서는 음기를 청탁받은 사실이 기록된 점으로 보아 석비의 건립과정에서 3개의 비문에 대한 준비가 있었음을 알 수 있다. 이상과 같은 관점에서 볼 때 이 석비는 규모의 거대함과 더불어 건립에 소요되는 기간을 알 수 있는 귀중한 자료라 하겠다. 아울러 미술사적으로 볼 때도 조선후기 조각사를 연구하는데 귀중한 사료일 뿐만 아니라, 주인공이 도선과 수미선사 등 2인이라는 점과 글씨 역시 서예사 연구에 좋은 자료라 판단된다. 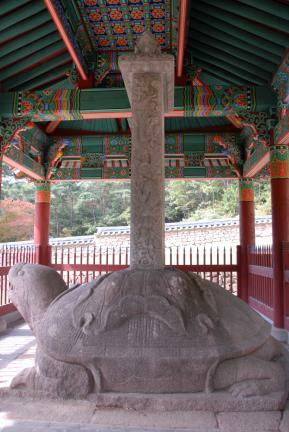 Kept in a protective shelter near Dogapsa Temple, this stele (height: 517cm) is composed of a tortoise-shaped platform, the body, and the head. 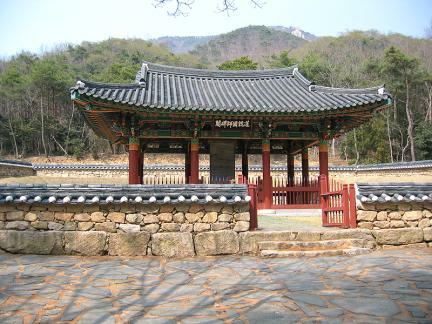 It contains records of the activities carried out by State Preceptor Doseon of the Unified Silla Period (676 - 935) and Royal Preceptor Sumi of the Joseon Dynasty (1392-1910). 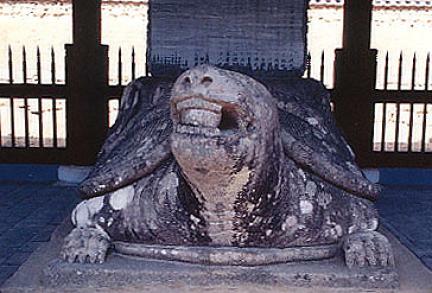 The tortoise has a magic bead in its mouth, a large nose, and a pair of big, intimidating eyes. Slanted parallel lines are inscribed neatly on its back. Each of the front legs has five toes, and each of the back legs, three toes. The body is made of marble. 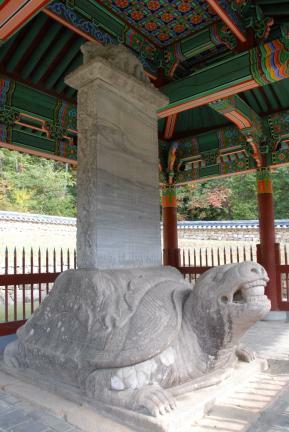 The epitaph says that this one replaced the worn-out stele for Monk Doseon, and that the construction work was started in 1636 (the 14th year of King Injo’s reign) and completed in 1653 (the 4th year of King Hyojong’s reign). 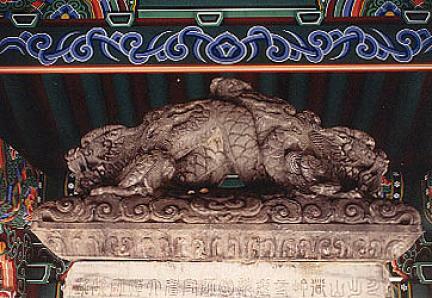 The inscription on both sides of the stele, featuring twin dragons flying up to the sky, is made very realistically. 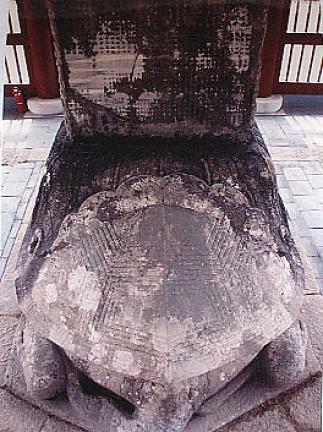 Made of a piece of stone, the head shows 28 upturned lotus flowers inscribed at the lower end, with two dragons appearing to bite the edges of the stele head at the upper end. 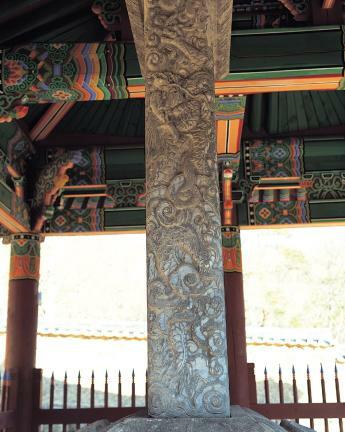 This stele is distinguished from the others of its kind found in the country in terms of height. 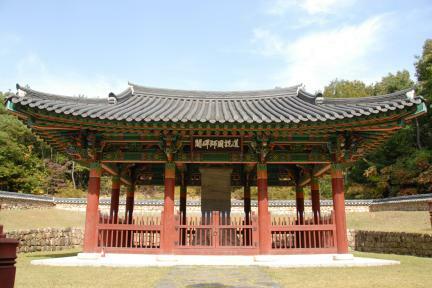 Experts say that it boasts of the highest level of workmanship of that time. 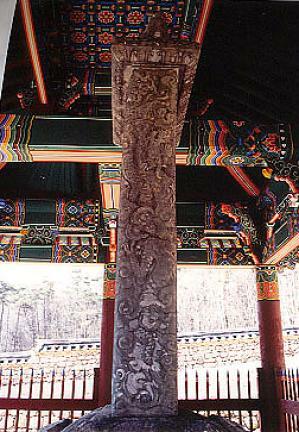 The body is made of marble, and the cloud-dragon patterns inscribed on both sides show off high-spiritedness and exuberance. 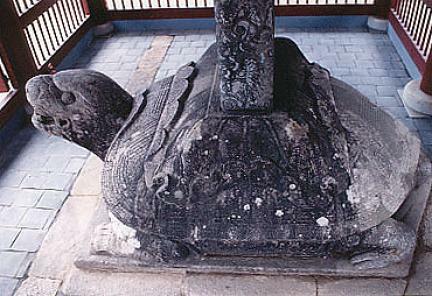 The time taken for its construction (18 years) provides researchers with useful information. 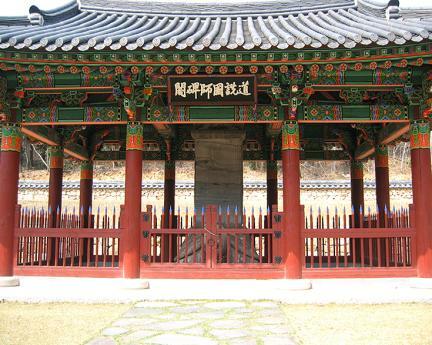 The fact that the object is for two prestigious monks is also noteworthy. 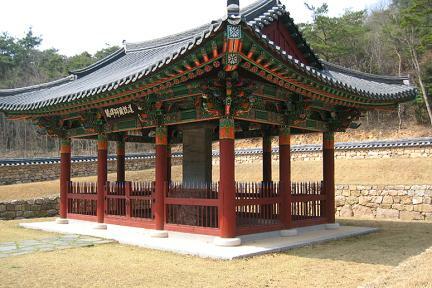 The three separate parts of epitaph and the work of composing, handwriting, and inscribing done by three different people are presumed to be associated with the fact that it took 21 years (including 3 years taken for fund raising) to complete the work. 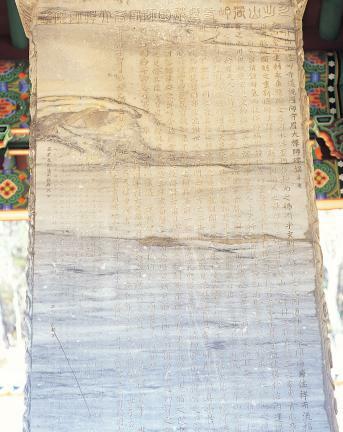 The second part of the epitaph contains a statement about the first part as well as information on the process of collecting and moving the stone. 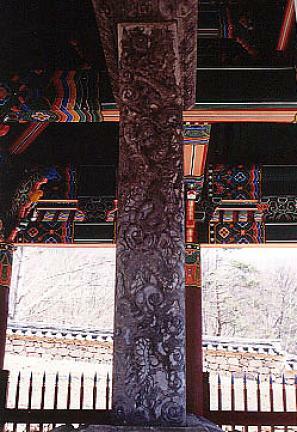 The third part includes a statement about the entrustment of the content inscribed on the back of the stele. 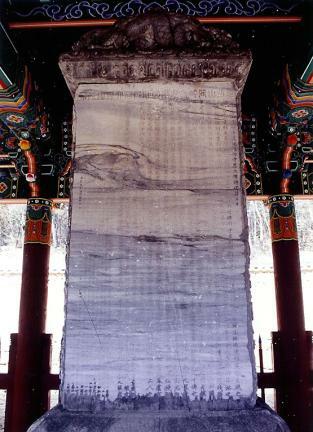 In other words, this stele is a precious material that tells us how long it took to build a huge monument like this. 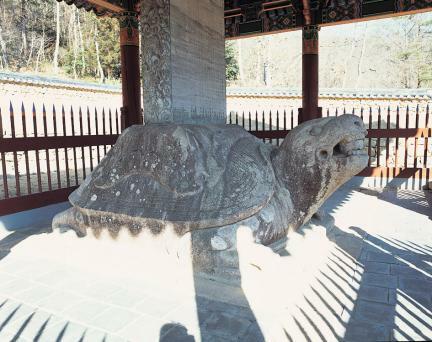 It also provides important information for those studying the history of sculpture and calligraphy of the late Joseon Period (1392-1910).